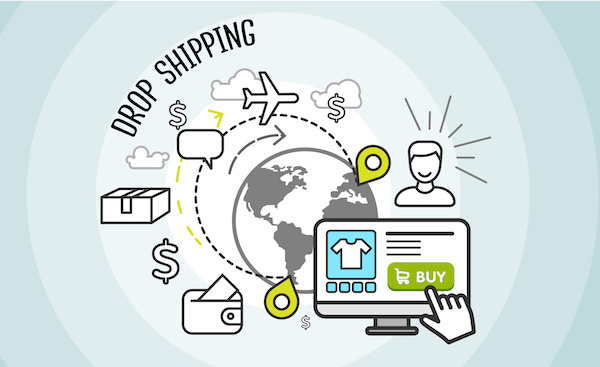 If you’ve been asking yourself, “What is dropshipping?” it is a method by which online stores sell products without actually keeping them in stock. Instead, when a customer purchases a product from the e-commerce website, the store purchases the product from a third party and has it shipped directly to the customer. When drop shipping, getting your venture started is simpler than it otherwise would be; companies require less capital to start up, there’s less overhead involved, and the business’s location is far more flexible. Furthermore, the enterprise will be relatively easy to scale in case you find yourself needing to expand operations. On the downside, you’re bound to deal with more complex inventory and shipping issues. When you’re sourcing from several warehouses, it can be challenging to keep track of which items are in or out of stock. Likewise, when dealing with multiple shippers, sometimes shipping to the same customer, it can take some work to figure out exactly how to pass shipping expenses off to your consumers. Dropshipping stores generally work with low margins. Because it’s so easy to set up a drop shipping company, the market is highly competitive and a lot of firms are vying for the same business. One way to help alleviate these problems is to find a niche industry that’s well suited to dropshipping. That means that the key to a successful drop shipping store is specialization. Don’t just sell sports equipment; sell soccer balls for children. Don’t just sell cameras; sell aerial cameras for weddings. Find a specific market where the customers would benefit from the dropshipping model and move in. It’s obviously not enough to simply find a market and hope for the best. You have to build your business deliberately. Focus on adding value to the end consumer. You’re not just selling a product, but you’re also in the business of offering relevant information and answers to questions. Your dropshipping store should help solve customers problems. Find out what these problems are through diligent research and appeal to the right people through effective marketing and search engine optimization. Offer top-notch service. As alluded to, dropshipping is a highly competitive industry with many firms going for the same thin margins. As a result, many of your competitors are bound to be bare bones enterprises. Having the best customer service around will be a huge advantage. Get a leg up on the competition by giving your customers an experience they want to come back to. 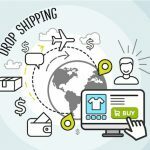 What is dropshipping doing for your industry? Let us know in the comments below!